Beware of the DOG! on Cat street! 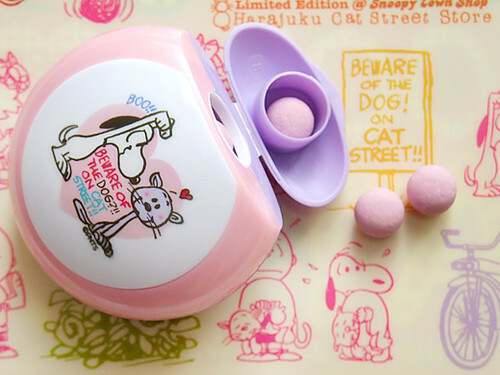 I got Snoopy’s plastic file and a candy box at Snoopy store in KIDDY LAND Harajuku. The street where KIDDY LAND open is named Cat street… because there was a lot of stray (but feeded) cats near there. Now there is many shops and people, we rarely see cats. 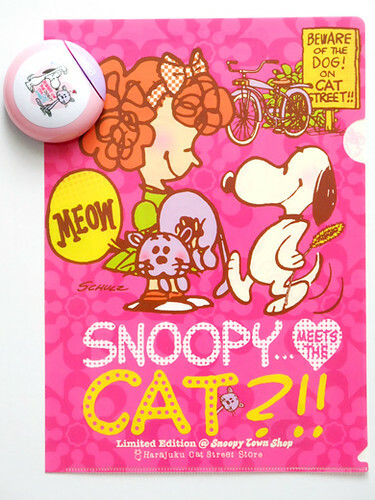 Snoopy, friends and a cat illustrations reminds me some memories of them. My dog is called Snoopy! Love it!